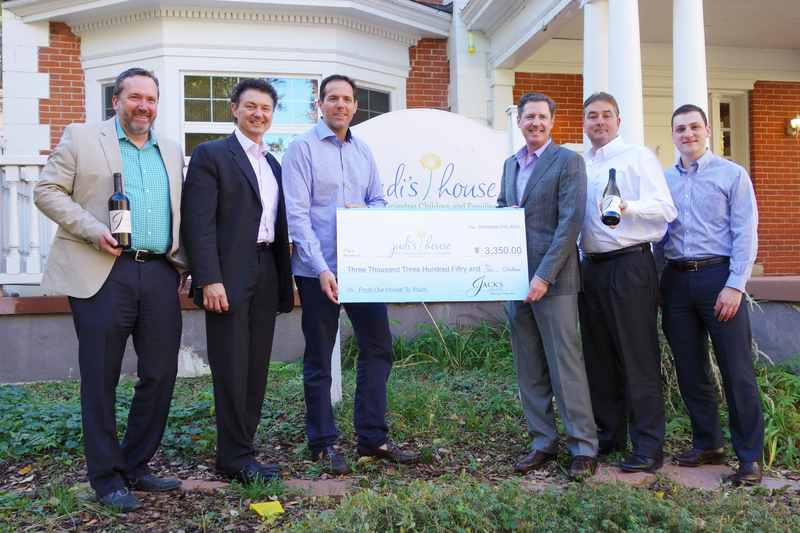 Jack’s House Foundation announced its first charitable contribution, a $3,350 donation to Judi’s House, a nonprofit organization in Denver, Colo. The charity was founded by former Broncos quarterback Brian Griese and his wife, Brooke. The donation was coordinated by Denver-based Beverage Distributor Co., stemming from funds raised from the sale of Jack’s House Wines. Terlato Wines and Jack Nicklaus announced in mid-summer this latest project, the philanthropic Jack’s House Wines, with a two-pronged mission: great wine, give back. Ten percent of each bottle of Jack’s House wine sold benefits the new Jack’s House Foundation, which supports the pillars of pediatric healthcare and education in communities where Jack’s House wine is sold. Judi’s House supports grieving children and their families following the death of a loved one. For children, losing someone very close to them can significantly disrupt healthy development and Judi’s House has helped more than 7,000 youth through free-of-charge services and programs. The 2014 Chardonnay and 2013 Cabernet Sauvignon in the Jack’s House line come from some of California’s best wine-growing regions. The Chardonnay offers fresh stone fruit and green apple flavors, with a clean, crisp finish. The Cabernet displays rich, dark plum fruit, underscored by dark chocolate and subtle coffee notes, with a lingering finish. Each wine has a suggested retail price of $15.99. Wine is available for purchase online on uncorked.com.